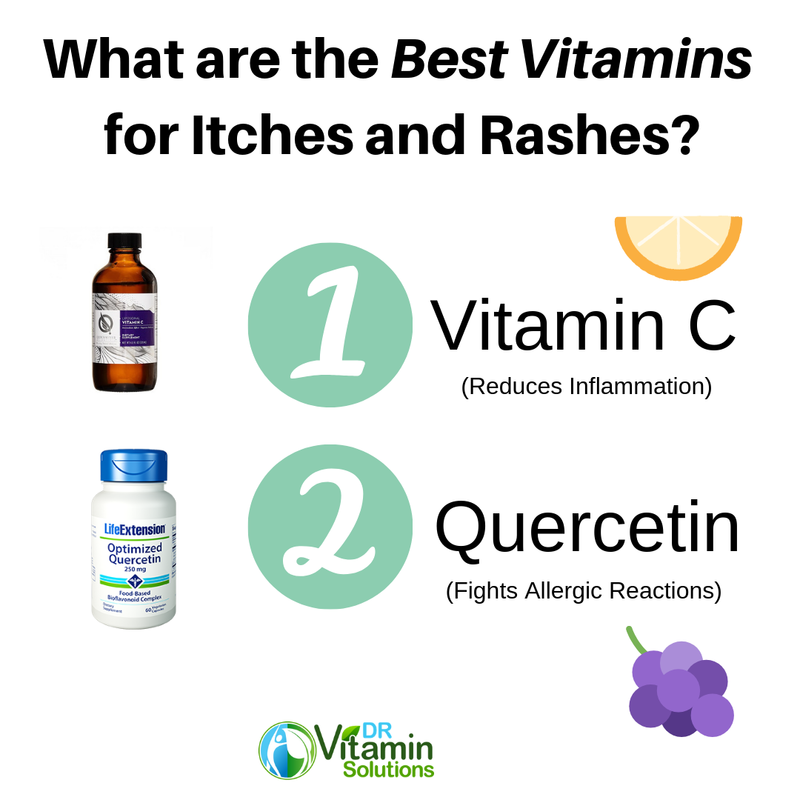 Best Vitamins for Itchy Skin with Rashes - Ditch the Itch! In this article, we will take a look at the Best Vitamins for Itchy Skin and Rashes along with other practical tips that you can use to help yourself combat adverse skin conditions. When you have to deal a skin condition like itches and rashes it can be very frustrating as it has some very difficult circumstances to deal with as well as unsightly appearances. (*Like a blister) What you need to know is you have a bacterial infection that needs to be treated from the inside out. Antifungal cream and medicated ointment can help alleviate the fungal infection, but the best route is to address the problem from under the skin. There are many different types of rash symptoms, this article equips you with the best vitamins for itchy skin with rash so you unlock the power of natural solutions. There are several foods that can be helpful. 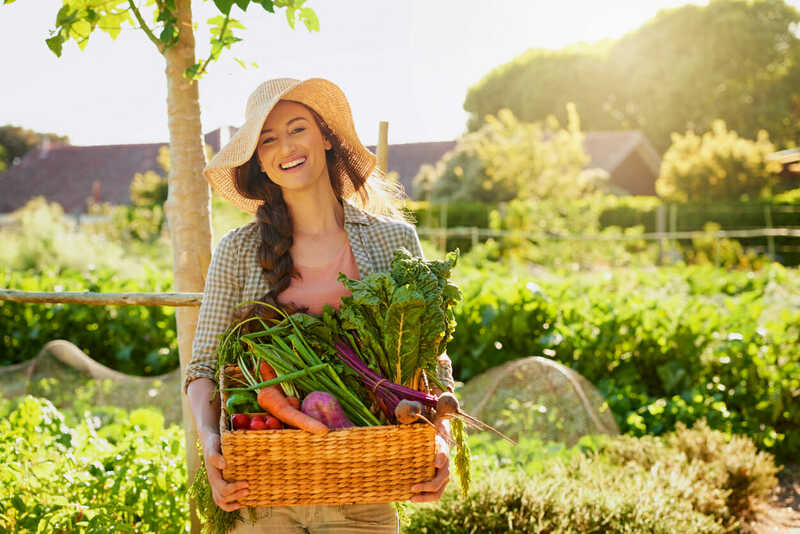 At the top of your list should be to get organic food. When you choose organic foods, you help to reduce your exposure to toxins and chemicals causing the skin problem. Fruits and vegetables that are yellow and are orange will help provide you with carotenoids like beta-carotene, which studies have shown can help improve resistance to rashes triggered by the sun. It is good to get at least 3 to 4 ounces of clean lean protein per meal. Flax and Chia Seeds can help reduce systemic skin inflammation leading to a reduction in eczema symptoms which is very important. It can be helpful to add ground flax or chia seeds to salads or smoothies depending on your preferences. Cold pressed oils are very helpful as well and you want ones that are not heated above 129 degrees during pressing such as olive oil and coconut oil. There certain foods that we need to avoid. Any food that personally causes you an allergic reaction should be avoided. This will vary from person to person however some common allergens are gluten, nuts, shellfish and dairy. There are a significant number of people that find by eliminating dairy products from a cow that it helps decrease their systems. Eliminating trans fats and hydrogenated oils should be high on your list to avoid as they increase red skin inflammation, which may lead to immune reactions. Any products containing high fructose corn syrup should be eliminated from your shopping list. Fried foods are difficult to digest and are known to increase inflammation, which can only make rashes worse. You also want to avoid processed foods as many processed foods contain additives. Taking high quality supplements are very important. I would make sure that Vitamin C is a part of my daily regimen to combat skin infections. I suggest 6,000 mg to 8,000 mg daily and I would suggest Liposomal form. Take 2,000 mg per dose 4 times a day. It is a powerful antioxidant and that has helpful Antihistamine properties, which can help to reduce the inflammation of a rash. Take 300 mg nettle leaf 3 times a day as it can be helpful in reducing hives because it reduces overall histamine production. I would suggest 1,000 mg of quercetin 3 times daily which is an anti-inflammatory flavonoid found in green tea and onions. Quercetin, found in grapes, has been shown to reduce inflammation and allergic reactions. Discover Quicksilver Scientific Liposomal Vitamin C and Life Extension Quercetin Today! This helpful product has compounds called cocoa mass polyphenols, which some studies have found can help diminish signs of aging, plus soothe sensitive skin suffering from skin rashes. (1) A Polyphenol is a type of antioxidant that promotes health both internally when eaten and when used topically on the skin. In fact, cocoa’s polyphenols have been found to fight various chronic diseases, degeneration of the skin, sensitivities and even cell mutations. (2) It is important to make sure that the cocoa butter you use doesn’t contain any alcohol, fragrance or other additives that can cause skin irritation to become even more inflamed and sensitive. A heat rash on the face or anywhere on the body can be very frustrating to deal with. Aloe vera a top natural remedy to deal with this issue. I would put it on my list for all kinds of rashes and skin concerns. Aloe vera is not only incredible at soothing rashes by reducing inflammation and redness, it also helps to decrease itchiness while improving moisture and healing. For a rash, you can use a high percentage aloe vera gel or you can try a 0.5 percent aloe extract cream. You will want to apply as needed or at least three times per day. If you’re looking for how to get rid of a heat rash quickly, aloe vera is definitely an awesome natural remedy. Dealing with issues like this naturally can help this situation without any side effects associated with some medications. It is our desire to see you function at optimal health so you can pursue your goals and dreams with all of your energy and passion. Reverse Itchy Skin with Rash Today! Thank you for taking the time to read Best Vitamins for Itchy Skin with Rash. Helping you stop that itch and reverse that red rash is our passion. If you have any questions or contributions, please contact us via email or phone-call. We are constantly looking for new information to promote wellness – and hearing from you would make our day! Feel free to reach out to our free Health and Wellness Consultation headed by our Certified Health Consultant, Kurt LaCapruccia, D.S.S. (Diploma in Dietary Supplement Science). This entry was posted in Healthy Living, Vitamins & Supplements and tagged best vitamins for itchy skin and rash, itchy skin and rash, quercetin, Vitamin C on 04/01/2019 by Kurt LaCapruccia.